The Language Journal: Born on February 29 – So You are a Leapean! Born on February 29 – So You are a Leapean! Or maybe you are a Leaper. Both terms actually mean one and the same thing. A Leapean or Leaper is a person born on February 29, leap day. It is only during leap years when the Gregorian calendar registers an extra (intercalary) day in February. Otherwise, February only has 28 days. If you haven't heard yet, 2012 is a leap year! Leap year is a fun year. A woman is given the license to be bold and seek the hand in marriage of the man she fancies. The man is not obliged to say yes unless he wants to. But saying no has its consequences both for the man and the woman. After 2012, the next leap year is 2016. So get to know more about this quadrennial event to better prepare you for its next occurrence. As per the Gregorian calendar, each year has 365 days. The planet Earth turns on its axis 365 times before it fully orbits its star, the sun. The Gregorian calendar is a solar calendar and each year is a solar year. But the fact is, the Earth does not really turn 365 times. Rather, each year, the third planet from the sun turns at an approximate rate of 365.25 times on its axis. So there are 365-1/4 days in each solar year. For the Gregorian calendar to catch up to this scientific fact, it was decided that every 4 years, an additional day should be added – February 29, making that particular year 366 days instead of 365. Technically, this makes any year that is evenly divisible by 4 a leap year and that year will have 366 days. But, there is an exception to this divisibility rule owing to the fact that a solar year is actually even less than 365-1/4 days. Not all years that are divisible by 100 can be considered leap years unless these years could also be divided evenly by 400. For instance, 1900 was not a leap year but 2000 was. 2100 will not be leap year but 2400 will be a leap year. A lot of arithmetical and algorithmic computations went into these rules and exceptions just to make sure which years needed that one extra day in February. The concept of leaping comes in when you look at when a particular calendar date would fall within a week. If December 25 falls on a Friday and the following year is not a leap year, Christmas day will fall on a Saturday that succeeding year. But if the following year is a leap year, you will be greeting people "Merry Christmas" on a Monday instead. In 2010, Christmas was on a Saturday. The following year, it was on a Sunday because 2011 was not a leap year. This year is a leap year. And Christmas will be on a Tuesday instead of a Monday. In 2013, not a leap year, Christmas will be on a consecutive day of the week, Wednesday. Some called it "ladies’ choice" while others called it "ladies' privilege." These terms simply mean that during leap years in certain countries like Ireland, women were given the privilege to go up to a man and propose marriage. This tradition, dating back about 400 years ago, was believed to have involved two Irish saints – St. Bridget and St. Patrick. St. Bridget made a deal with St. Patrick allowing females to propose marriage to males every 4 years. It was to balance out the traditional male-female roles, or so sources say. Men who say no to women proposing marriage to them were "required" to give the women either a kiss or a silk gown, but only if the women wore red petticoats when they asked the question. In some European countries, men were required to give spurned women 12 pairs of gloves. Why gloves? To hide the fact that the spurned ladies had no engagement rings on their fingers. It was one way to hide the embarrassment from prying eyes. In the Philippines, leap year is the time when a man might find himself getting duped into marrying a woman he is not quite ready to marry or even uninterested in. This unfortunate situation is called "pikot." "Napikot" meant the man was forced into an untimely union. February 29 = bad luck or misfortune. Couples tend not to get married during leap years and especially during leap days in Greece. While in Scotland, February 29 is like Friday the 13th. The Scots believe that it is unlucky for one to be born on this extra day. Since leap day, February 29, generally comes only once every four years. It is considered a very special day by people born one this date. Persons born on this date celebrate their birthdays only during years when February has an extra day beyond the 28th. Otherwise, they get to choose whether to celebrate on February 28 or March 1. For many Leapeans, it makes more sense to celebrate their birthdays on the 1st of March because it comes right the last day of February. Leapeans technically have 75% fewer birthdays compared to those who were not born on February 29. Once upon a time, it was believed that Leapean infants were harder to raise and prone to medical conditions. Even crops that were planted during leap years were given a bad rap. A long time ago, farmers believed that certain crops (like peas and beans) would not grow properly. According to one source, Scots had a saying that says something like "it was never a good sheep year when it was a leap year." 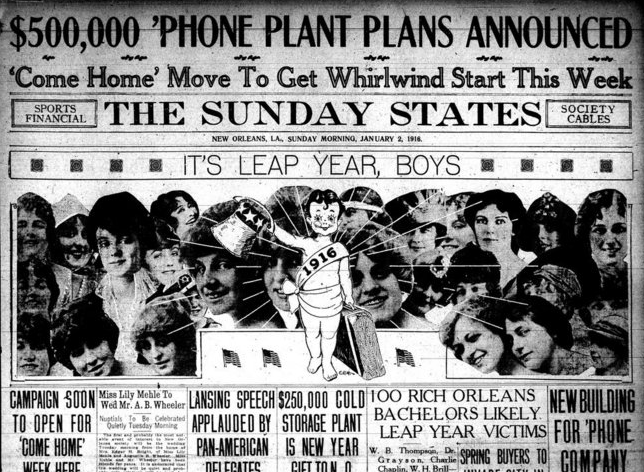 Those who are proud to be Leapeans can join the "Honor Society of Leap Year Babies." The group behind the society wants to promote awareness regarding leap years and be a venue where Leapeans can connect with their fellow February 29 celebrators. The society has roughly 10,000 member Leapeans to date. Leap day and leap year celebrations are going on all over the world. If you don't have an event to go to, make one! If you know a Leapean, make sure he or she celebrates her special day to the hilt. The next leap day is in 4 years. This gives women more than enough time to muster the courage to ask the men of their dreams to marry them. Men on the other hand have to make sure that they marry the right women ASAP before someone else asks them on the next leap day. Leapeans can start planning a grand celebration for their next true birth date. 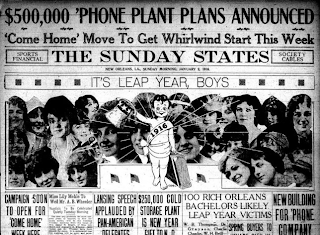 Non-Leapeans can also plan their own fun leap day events. A leap year and its corresponding intercalary day is something anyone can look forward to and have fun with, whether he or she is a Leapean, a leapy or a Leaper.